The midwifery led unit (MLU) is a dedicated unit for women with a low risk pregnancy. The unit is run by midwives and offers you a calm environment to deliver your baby with your chosen birth partner(s) and midwife. Many women can labour and give birth without any medical intervention and enjoy the calm safe environment the MLU provides. The midwifery led unit is located next to our obstetric delivery suite; this gives you peace of mind that should it be necessary, you can easily be transferred. 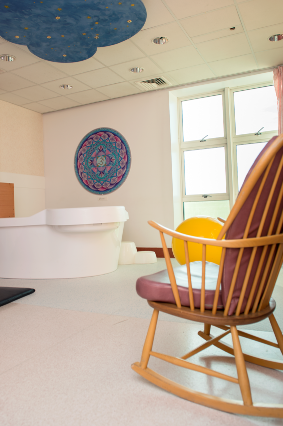 The birthing rooms have equipment which help you to mobilize such as a multi-track couch, birthing balls and bean bags(see photo tour section for images). There is a bed in the room however you will be encouraged to use a couch should you want to rest. This approach aids and encourages mobilization, which in turn helps with the birth. You are welcome to book into our active birth classes (see class information section) from 34wks of pregnancy where we will discuss the midwife led unit further and show you how the equipment works. 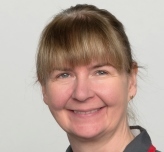 If you attend MLU but are not in established labour the midwife can provide you with a TENS machine and analgesia (pain relief).Both of these will help you cope when you go home and until you return in established labour. One of our delivery rooms has a birthing pool. Please refer to the waterbirth section if this is something you may be interested in. Following birth, the MLU does accommodate women who wish an early discharge home. This can be as soon as 2 hours following delivery should there be no complications. However, should you not be ready to go home from the delivery room, you and your baby can be transferred to our two bedded postnatal room. This area also benefits from pull out chair beds which supports your new family unit by allowing your partner to relax too. We are looking forward to seeing you on our midwife led unit and wish you well with your special delivery.